This differentiation between “radical” and “moderate” Islam is what gave rise to the claim that Islam had been “hijacked” by the radicals, implying that the real and original Islam is the moderate, not the false, radical one. This is what allows today’s Europe to relate positively to the wave of mostly-Muslim illegal immigrants washing up on its shores – they represent “moderate Islam” and all they want is to live in peace and harmony with their European neighbors. Permit me to raise some doubts concerning the psychological mindset that claims the existence of two types of Islam. In order to do this, let us clarify an important point: Islam is a text-based framework of ideas and behaviors, covering religion, culture, strictures, politics, law and economics. It is an all-embracing way of life. The most basic text is the Qu’ran, followed by the Hadith (oral law) and the Sura – biography – of Muhammad. The Sharia, Muslim law, is a system of binding laws and injunctions that Muslims are obliged to obey. There are no two Islams, no moderate one and no radical one, there is just one Qu’ran that includes everything: verses on Jihad and all out war against unbelievers along with verses that speak of recognizing the “other” and living beside him. There is also just one Sharia that includes everything, from the radical cutting off of a thief’s hands to the unquestionably moderate admonition to care for the poor and indigent. That being the case, there is no “moderate Islam” and no “radical Islam”, just one Islam that incorporates both terms, ranging from extreme radicalism to extreme moderation. In practice, we see people with different cultures, some of them extremists and some moderates, all finding verses,ideas, precedents and laws that support their views on life and society in the same Qu’ran, Hadith, Sura and Sharia. The radical Muslim chooses to quote sources that support his extremist approach, while the moderate Muslim finds sources to buttress his moderate approach. Those two Muslims, the most extreme and the most moderate, are “kosher”, because they both rely on legitimate Islamic sources, and neither can claim that the other “hijacked” Islam. All the Muslims in the world, all one and a half billion of them, men, women and children, are to be found somewhere on the moderate-extremist continuum. They may live alone or as part of families, tribes, organizations and societies. Islamic State is a state established and continuing its operations with the participation and cooperation of a large body of Muslims and converts to Islam who are on the extremist tip of the continuum. Al Qaeda is right there next to them, as are Hamas, Hezbollah and all the other terrorist organizations. On the other end of the continuum, the moderate one, are the members of the “Muslims for Tomorrow” organization, a totally moderate group of Muslims living in Toronto, Canada. Moderate Muslim migrants live in harmony with the foreign societies to which they have migrated. They blend in nicely, work for a living, are law abiding and contribute to the economy and society that absorbs them. More radical Muslims who migrate to new societies tend to live in the enclaves that preserve their culture and way of life, only partially blending into society and the work force and constantly attempting to influence and change for their own ends the society that let them in. If they are on the violent side of the continuum, that violence will be turned on the society that accepted them – a fact that is most evident in today’s Europe. 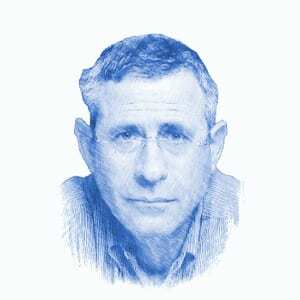 Dr. Mordechai Kedar is a senior lecturer in the Department of Arabic at Bar-Ilan University. 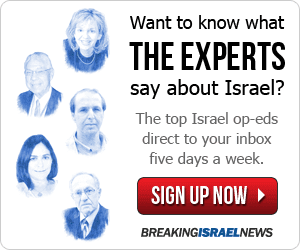 He served in IDF Military Intelligence for 25 years, specializing in Arab political discourse, Arab mass media, Islamic groups and the Syrian domestic arena. “Deal of the Century” or a Plan Doomed to Failure?